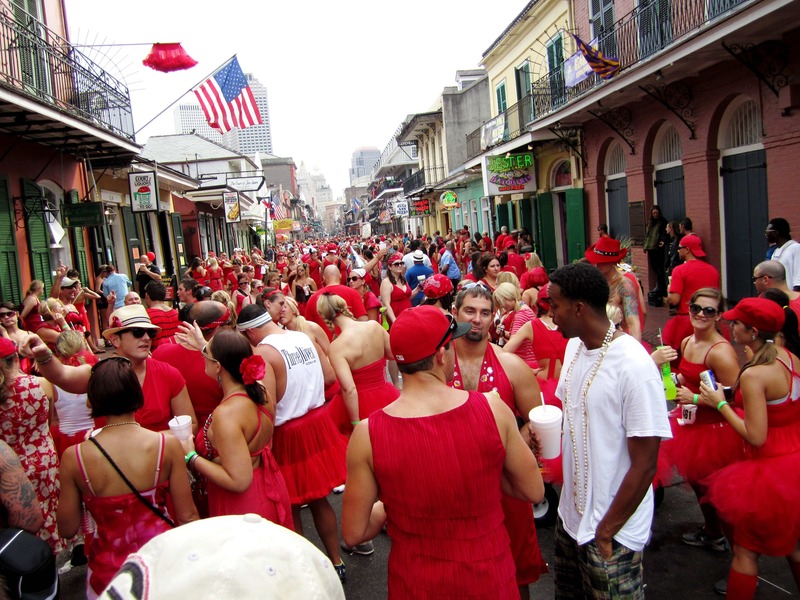 Have a blast at the New Orleans Red Dress Run and enjoy delicious food, lots of beer, great bands and of course, the run itself. Open to those 21 years old and up, the event will be held on August 11, 2018, beginning in Crescent Park and winding into the French Quarter. When you participate, you will be giving to local charities which have thus far received over one million dollars. Register and find more information at http://nolareddress.com/. The kicker? Everyone wears a red dress (yes, men too!) The event is sponsored by NOH3 (New Orleans Hash House Harriers), a drinking, running and walking club. Check out the following link: http://www.noh3.com/.